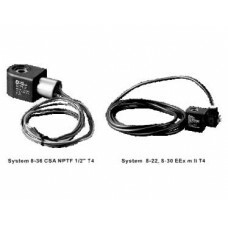 Shako solenoid coil system 8/22 width 22mm DIN43650B connection rated power 4.8 watts 4.9VA to suit Shako valves BM520, PU520, PS520, PU320, PU322, CY520, SPU520, PU220-AR-01/02 series. 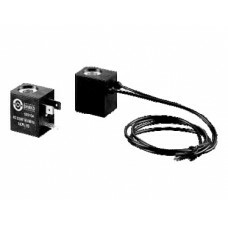 Shako solenoid coil system 8/22 width 22mm DIN43650B connection or 30cm flying lead wires rated power 2.5 watts 4.0VA to suit Shako valves AM520, SM520. 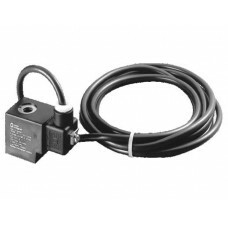 Shako solenoid coil system 8/22 or 8/30 ATEX EEx M II T4 width 36mm 3 meter lead wire and 8/36 ATEX CSA NPTF 1/2" to suit Shako valves BM520, PU520, PS520, PU320, PU322, CY520, SPU520, PU220-AR-01/02, AM520, SM520. 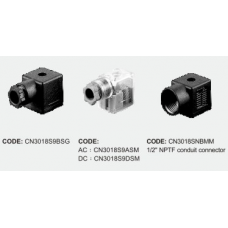 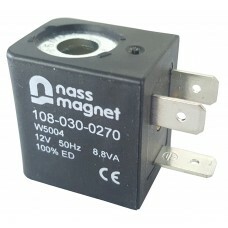 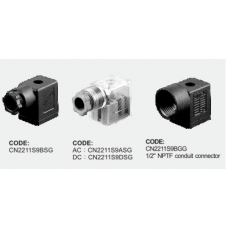 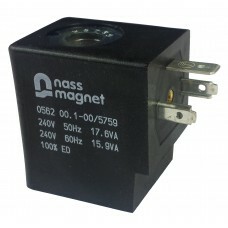 Full range of DIN43650B 22mm and DIN43650A 28mm electrical DIN connectors without circuit or with LED in either PG9 or 1/2 NPT conduit entry. 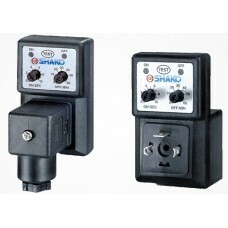 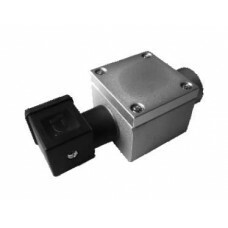 Shako Ex proof terminal box40-17-08 NIP2with 1/2 NPTF conduit entry Model NIP2..
Repeat Cycle Valve Timer.Shako Z10100 and Z10101Solenoid valve timer / controller DIN 43650A (Z10100..
Solenoid coil 8/22Shako 40-17-01High temperature resistant thermoplastic contains 30% PC.width 22mm ..
Solenoid coil 5/16Shako 40-17-02High temperature resistant thermoplastic contains 30% PC.Width 16mm,..
Solenoid coil 13/30Shako 40-17-03High temperature resistant thermoplastic PA / PPS.Width 30mm, bore ..
ATEX Solenoid CoilShako 40-17-04ATEX certified solenoid coil GAS Ex II 2 G Ex mb IIC T4 and DUST Ex ..
ATEX Solenoid CoilShako 40-17-05ATEX EEx m II T4 certified solenoid coils system 8/22, 8/30 and CSA ..
Solenoid connector 22mm Shako 40-17-06Black and grey PA + 30% glass fibre DIN43650 industrial form.W..
Solenoid connector 28mmShako 40-17-07Black and grey PA + 30% glass fibre DIN43650AWidth 28mm, Spacin..